Rob Clove is a Soul Vocalist, Saxophonist, Songwriter and Actor from Fayetteville, North Carolina based in New York City. Since commencing his career, he has had the privilege of studying and working with some of today’s most respected artists in classical, jazz, and hip-hop. Clove got his first break with a lucky first show opening for legendary rapper Nas in 2016 at a concert held in Carnesecca Arena. After attending The University of North Carolina School of the Arts high school program, he moved to New York to pursue music and business. Spending a year in the Jazz Conservatory at SUNY Purchase as well as taking acting classes on the side, Rob made the decision to transfer to St. John's University, with hopes of gaining other perspectives outside of music school. In 2016 he graduated with a Bachelor of Arts in French Language as well as a Master of Business Administration in Marketing from the university. While at St. John’s, Rob became and continues to be a musician for The Voices of Victory Gospel Choir, directed by Nigel Gretton, which have been featured in New York’s famed Carnegie Hall, Apollo Theater, HBO, NBC, FOX Network, and Warner Brothers Records, as well as touring Spain. During his time at St. John's, Clove continued his pursuit of acting by appearing in several thesis films at New York University and Syracuse University and is currently in post-production for the TV Series Pilot "Rockk Island" portraying the role of Special Agent Black as well as Netflix potential “Another COuntry” as the lead role of Sha (2019). Outside of the arts, Clove is a promoter and activist for climate change awareness and human rights. He has won grants on behalf of the Embassy of France in Washington, D.C. to travel to Paris after presenting a french speech on the rising health costs in Sub Saharan Africa and China due to changes in the climate. To continue his fight for human rights and advocacy, Clove has also traveled to Colombia, Latin America on behalf of The French Alliance and l'Institut Français in France to work on francophone projects bringing awareness to international social injustice. Clove was later invited to speak at New York University about "The Role of the Artist faced with Social Awareness, Human Rights, and Politics." 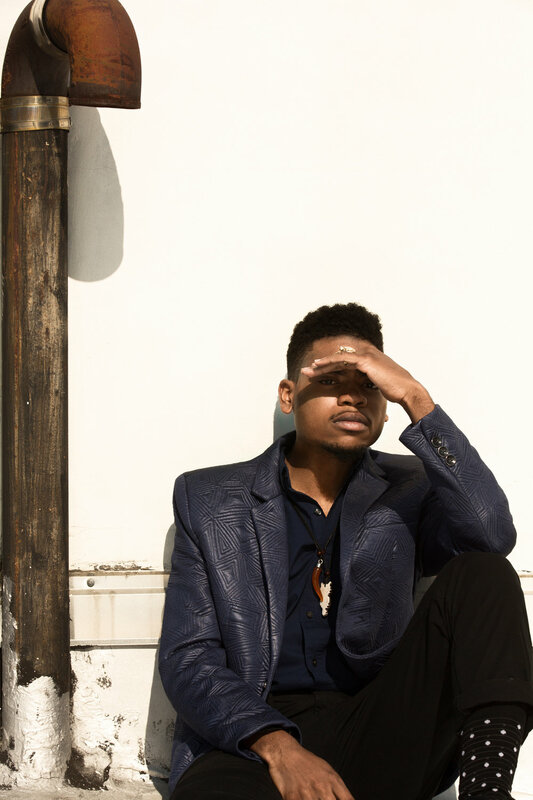 After the release of his original EP "Energy of Humanity," Clove was featured in the #1 jazz retail magazine "JAZZIZ" with a promising review for his future. His song "Little Black Boy" was chosen to be included on BMIG/SONY Music distributed album "Made in Amerika", a project focused around music centered with social issues within the African-American community. This is my first true original project as a band leader and writer since beginning my journey through music. I wanted this EP to be meaningful, understanding that this opportunity is not taken for granted and may be once in a lifetime. With that being said, I've been wrestling with the idea behind how people make choices in everyday life, but more importantly, why? What's the difference from those who are content with life compared to others who continue to face long term sadness and grief? I've come to believe that the difference is based on the foundation of our daily decisions; the competition of fear vs love. It appears that when choices are made out of love (in spite of fear), the results have profound rewards: joy, compassion, peace, hope, even prosperity. The power surrounding love has been shown to positively influence ideas, thought process, and behaviors of individuals. This alone is the sole reason and inspiration behind this project. Overall, the point is that this unique force, our "Energy of Humanity", is innate within all of us. The more we learn about who we are as spiritual beings living a human experience, the quicker we realize that we are compelling people with the ability to transmit this energy to everyone with whom we come in contact; this in return creates a domino affect in which we consciously and purposely evolve as a whole. Let's take our life lessons and use it for finding Self-Love, Love of those we may have broken through relationships, and remembering the issues we face in our communities. Please Subscribe to the following social media links below to stay up-to-date with Rob's work!